Axons, which communicate with other brain regions and the spine, can be modelled using magnetic resonance imaging to indicate direction and intensity. 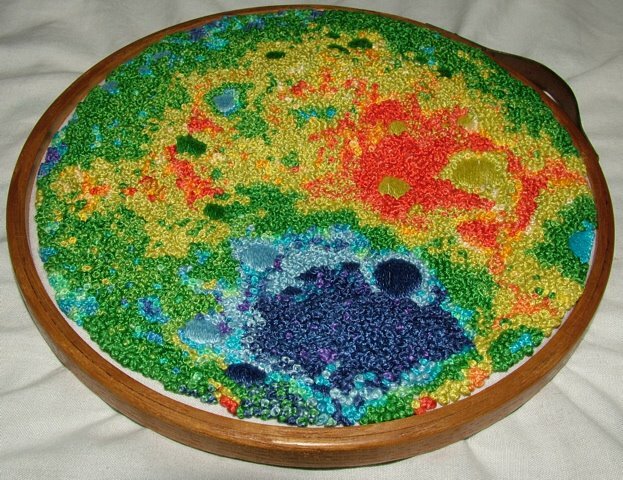 This image immediately appealed to me as inspiration for an embroidery, because I've done something similar before: my map of the far side of the moon in French knots. 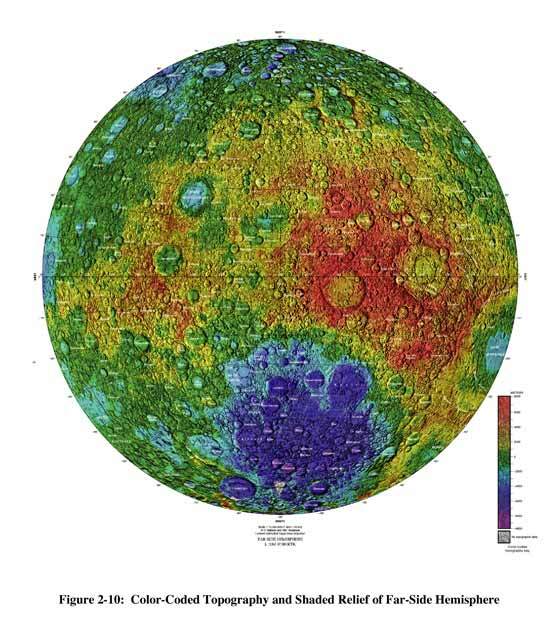 This work, which was based on a LIDAR map that NASA made (lidar is radar with lasers rather than radio waves) shows the low areas in blue and high areas in red. 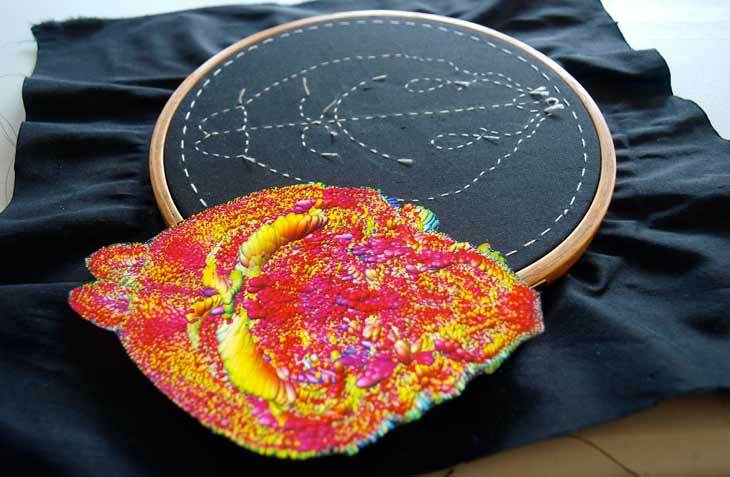 In a lovely and improbable twist of fate, the finished embroidery now graces the office wall of a NASA scientist whose daughter bought it from me to give him for his 60th birthday. As you can see in the picture at the top of this entry, I've outlined a basic shape for the axon map on my black silk fabric. This week I plan to begin filling the space with colourful knots. I remember getting callouses on my fingertips when I made the moon map, so I'll look forward to that!